View of “The World as a Stage,” 2007, Tate Modern, London. 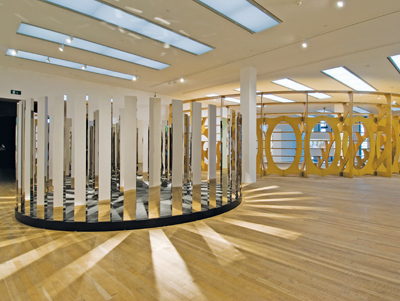 Foreground: Jeppe Hein, Rotating Labyrinth, 2007. Background: Rita McBride, Arena, 1997–2006.